Here in Savannah you know when autumn has arrived not by the calendar or leaves falling from the trees but when you no longer need to turn on the AC. 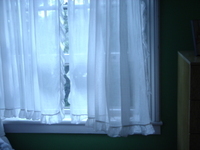 This delightful day arrived a few days ago, when I was finally able to open wide the dining room and bedroom windows. 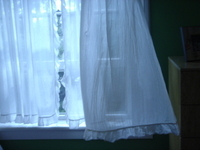 The fresh air blowing from one end of the apartment through the other is the perfect tonic for any foul mood. 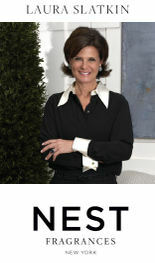 Last week Laura Slatkin's new line of candles, Nest Fragrances, arrived at the store. They are the perfect combination of fabulous packaging, intoxicating scent, and reasonable price. I placed a reorder early in the week due to our dwindling stock. We've already sold out of one scent, Wasabi Pear. Out of the 12 scents there is literally none that I absolutely abhor. They're all really lovely and unique. The unusual scent combinations, such as Wild Oats and Bourbon, actually compliment one another well. We've been taking turns selecting which candle to burn each day and are slowly working our way through the line. Each candle is housed within a soft touch box. 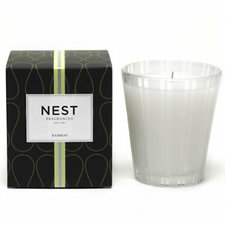 The candle itself is set within a classic glass with etched stripes. This subtle container allows the candle to blend in with rather than compete with a persons decor. Now this is just an aside, but doesn't Laura know how to rock the big hair? I think Amy Sedaris would so perfectly portray her in a SNL skit. Shirley MacLaine is set to portray Coco Chanel on the Lifetime channel this Saturday the 13th at 8pm. This I will unenthusiastically sit through, as the critics have been vicious. Who knows, it may just blow us all away. 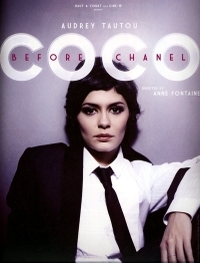 On the horizon is Audrey Tautou's portrayal of the designer in the biopic Before Coco Chanel (adapted from L'irreguliere by Edmonde Charles-Roux), set to be released in 2009. Not only will it be a French-language film, but Karl Lagerfeld is going to recreate Chanel's original wardrobe. Now THIS I will be eagerly awaiting. 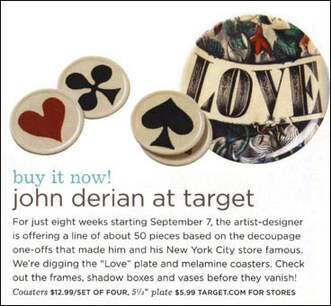 John Derian has designed a here today gone tomorrow line for Target based on his highly coveted decoupage pieces that unfortunately come with a steep price tag. The collection will feature antique print imagery that Derian typically layers under glass, but instead they will be printed on melamine. 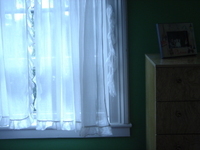 The line will include vases, trays, picture frames, shadowboxes, paper bags, wrapping paper, and notebooks. I'm all over being able to pick up a bit of John Derian at pocketbook friendly prices. The line is only available for eight weeks, part of the line arrived on September 7th, the rest will be out on the 14th. Prices range from $1.99 to $29.99.